Organize visible storage areas with Sterilites Weave collection. These Weave Storage items combine style and function; the trendy look of weave with the convenience, durability and value of plastic to provide a variety of d&eacute;cor solutions for your living spaces. 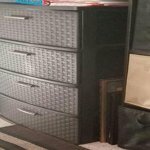 The 3 Drawer Wide Weave Tower takes on a furniture-like look and is ideal for out in the open storage needs. Three opaque drawers keep clutter controlled and concealed while providing access to frequently used items, where they are most often used. The easy pull handles allow drawers to open and close effortlessly, with a drawer stop to prevent drawers from being removed accidently. 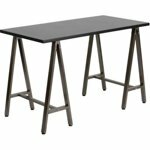 The overall dimensions for this item are 15 7/8&quot; L x 21 7/8&quot; W x 24&quot; H.
Organize visible storage areas with Sterilites Weave collection. These Weave Storage items combine style and function; the trendy look of weave with the convenience, durability and value of plastic to provide a variety of décor solutions for your living spaces. 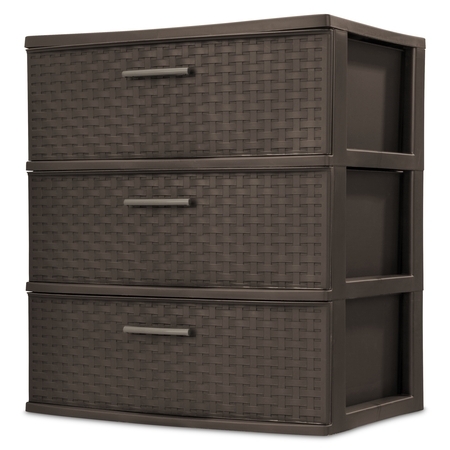 The 3 Drawer Wide Weave Tower takes on a furniture-like look and is ideal for out in the open storage needs. Three opaque drawers keep clutter controlled and concealed while providing access to frequently used items, where they are most often used. The easy pull handles allow drawers to open and close effortlessly, with a drawer stop to prevent drawers from being removed accidently. The overall dimensions for this item are 15 7/8" L x 21 7/8" W x 24" H.
This is a very nice piece of furniture for the price. We are very pleased with the quality and appearance is this piece. I've always liked Sterlite products, but I have to say that I was surprised when we received this product. It looks like it could cost a lot more than it does. I really like the privacy not being able to see through the drawers, and it could be used any room. I would highly recommend this to anyone. 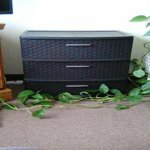 This storage chest works great for my needs which is to use it in my extra bedroom as a chest for extra storage. 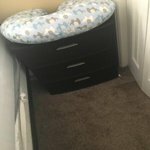 It is a perfect fit with my night stand and other side table and holds a lot of things like an extra blanket for my guest as well as extra linen. Well worth it for the price. LOVE THESE SO MUCH, gotta buy more!! Very stylish, roomy and detachable!! 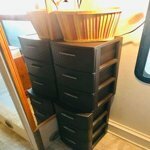 I bought enough to make 2 & 4 drawer towers... Gotta buy more to do 7 drawer towers! 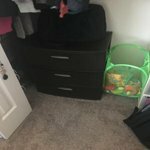 Instantly added much needed storage space for my bedroom! Purchased two of these and stacked one on top of the other. They are very pretty, and fit in perfectly with decor. 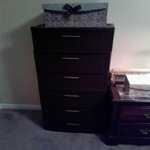 Drawers are large and able to store several items of clothing. Perfect solution as opposed to heavy bulky wood dressers. I love these are would like to purchase again. I am well pleased with this purchase. No assembly required. i bought 2 of the smaller ones for our Jayco camper. I needed more room for my clothes. they fit perfectly under the tv and just small enough for the heater vent. i love them soooo much that i'm thinking of buying these bigger ones for my the kitchen in camper. 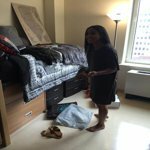 Can someone tell me how big are the drawers? I ordered these for my sons nursery. 2 of them. They were perfect and exactly what I was looking for. 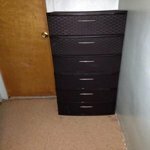 They are very sturdy and have very spacious drawers. I was actually surprised by how much can fit in them. This piece is perfect for under bed storage for dorm rooms with raised beds. It looks neat, and allows my daughter to stay organized. Be careful of over-stuffing, the drawers may get stuck. 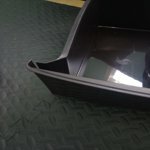 I ordered this Sterlite plastic weave drawer and one of the drawers were broken on the side.... Making it difficult to store anything in, as it will tear even more.